The Rural Sociological Society’s current editor is Laszlo J Kulcsar. Dr. Kulcsar is a Professor of Sociology at The Pennsylvania State University and long-standing RSS member. The journal is particularly interested in advancing sociological theory and welcomes the use of a wide range of social science methodologies. Manuscripts that use a sociological perspective to address the effects of local and global systems on rural people and places, rural community revitalization, rural demographic changes, rural poverty, natural resource allocations, the environment, food and agricultural systems, and related topics from all regions of the world are welcome. Rural Sociology also accepts papers that significantly advance the measurement of key sociological concepts or provide well-documented critical analysis of one or more theories as these measures and analyses are related to rural sociology. 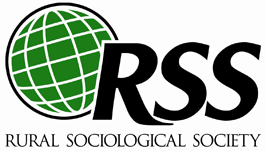 Members of the Rural Sociological Society and our institutional subscribers can find past and future issues of Rural Sociology online as well, at this link. View issues of Rural Sociology. If you would like to make a submission for Rural Sociology you can do so by following this link and creating an account for submission with Wiley, our publisher. Please direct any claims or questions for missing print issues of Rural Sociology to our publisher, Wiley Blackwell, at [email protected].